What do you do when your kid asks for a Mega-Blocks or Kreo-O (usually fueled by a certain license i.e. Halo, Transformers, etc)? I usually play it down and distract him with something cooler in the same aisle (nearby is always LEGO), but that tactic might not work as he gets older (he's 4 now). I just did not buy them. It did not stop other folks from doing so. My son eventually quit asking and only buys LEGO. I hate when other people get him Mega-Blocks or K'Nex. Gift receipts please. I'd always assumed they'd be a lot cheaper, but a peek the other day in Target proved otherwise. I won't ever outright refuse to get my boy one of the "others," but I do take the time (a lot of time) to inform him as to the pros and cons. Sometimes it's really hard though, especially when licenses are concerned (Skylanders are his Kryptonite). That said, up to this point, I have always been able to steer him toward one of the themes Lego has at any given time. But, like I wrote above, when he gets to the point of understanding that it's his money and he can do what he wants with it, that'll be his decision. Frankly I think it'll work out in the end, because he'll then truly understand and experience why the offbrands aren't as good, as opposed to just accepting Dad's word for it. You're a better dad than me. I just flat-out refuse to. But then again, he's only 4 and it's still my money. I have always just told my kids that we only buy Lego. it's simple. I bought a small Transformers Bumblebee buildable figure since my girl begged me for it, and it was on clearance. We put it together. meh. She asked to build a Lego set the next day we had stashed (Ewok attack, or a random Battle Pack), and hasnt asked for another one since. If they know Lego, they'll see the difference. LOL...these comments are borderline religious fanaticism. I like @jasor idea. The children are smart enough to figure out which product is superior. "It's all about the clutch" hahahahaha. Just because they are the same shape doesnt mean they stick the same. Kills me since I know it's a mistake and it'll cost $20 or so just to teach the lesson. That money could've went to a good LEGO set. hahaha.. I do the same thing. Plus it's easy to tell him he can't have the Halo megablocks, he's only 7. My little brother loves Halo. Won't listen. Buys "that," and Lego both. Some lessons are harder to teach. I've never tried Mega Blocks, but from experience, assembling Kre-Os leaves fingertips hurting and K'Nex is just a sloppy, loose mess of a build. Instructions for both will leave you backtracking at what you did wrong. You could also aim them towards a non-building toy such as posable figures (Kenner style) and get them to build the accessories with Lego. For first Halo set I eventually had to hide the box since I simply had enough and I figured that the vehicle that we cobbled together was 'close enough'. He ended up with one more set and I said that he was on his own - that set never really got built. He likes looking at the boxes (especially Skylanders - just snagged a Ninjini this morning so all I have to find is Legendary lightcore Chill until Swap Force), but with all of the awesome Lego choices it hasn't been a problem since. I swear that the manuals (30 dark colored bricks with lines falling in a downward direction) are a laugh when compared to what we are used to with Lego. I will not allow that crap in my home. The closet thing to a Lego competitor in my home is a Playmobil Dollhouse. I have 2 girls and I hope they don't ever ask for any clone brand. I think if you have boys, you have a better chance of them asking. Been out since a week ago thursday and was lucky to get one the first day but had to get to TRU an hour early and wait in the cold. Give it a week or two and she'll be common. A few others with kids obsessed with Skylanders I see. My plan on avoiding The Megablocks range is to encourage Lego alternatives. My boys have built some characters from their own bricks and I built them a (working) Lego portal of power. I saw some very cheap second hand series 1 and am half considering building a working Lego Skylander by brutally taking it apart and putting the RFID chip in my model. Maybe we can find a Megablocks box, substitute the pieces with LEGO, rebag, reseal and pretend to surprise them with it. Haha... $20 is a drop in the bucket in my Lego budget. I have no problem buying my kids Mega Bloks or Kreo, but ususally on clearance. I am not attached to the competitor products so wont cringe when I see him smash those sets around or lose parts. They can go bonkers with them for all I care. Kreo is good for Transformers and GIJoe minifigures which Lego will never produce since it is Hasbro's. As a result I gladdly support Kreo for making those themes. Star Trek on the other is a wait-and-see. I was lucky with Amazon in getting Ninjini. I'm going to have to play around with building a base of Legos around a Skylander to see if the RFID still functions (I imagine it will). I'd love to see a picture of that portal since I have two now and could definitely sacrifice one to build a Lego one - especially now that I figure I could make it a little bigger on top. ^^ HAHA. Parents of Future AFOLS, we can only hope. @charlatan13 Open up the spare portal and see how it works. It's pretty straightforward - once you've taken all the superfluous plastic away, it's just a circuit board connected to a double ring of wire (this is for the wired one, I'm not sure the wireless one will be as straightforward as it has batteries etc. in it). The PCB has the LED on it, that provides all the colour/lighting up, so as long as your base has some kind of transparency, you'll get that too. I made a grid with transparent plates on the odd studs, because I didn't have anything larger than 1x2 trans plates. You can definitely make something a bit bigger than the standard portal, but not that much bigger without messing around with the wire hoop. I'll take a photo, but it looks pretty grim. It was more a proof of concept, just to see if it would still work. I would go as far as to create my own GI Joe Lego sets. I am a HUGE GI Joe fan, yet I will NOT buy Kre-o. Just let them get a Megablocks set... they'll learn. After my son was born, my aunt offered to return me all the LEGO I had allegedly given my younger cousin when I entered the Dark Ages (no, she didn't use that term). I got a little puzzled, as I was pretty sure I had not given away any LEGO, but accepted it nonetheless - one can never have too much LEGO, right? The next week she arrives at my place with two plastic bags full of this horrible mix of chewed up LEGO, Megabloks and some other stuff that I can't even identify. I didn't want to upset her, so I thanked her and didn't say anything about over half of it not being LEGO. While we were chatting, however, I instinctively began sorting the pieces into two piles - LEGO to the right, everything else to the left. At some point my aunt noticed and asked what I was doing, and I couldn't come up with any excuse. How could I tell her that half of her son's toys were not good enough for my son? I still have to finish sorting, but when I do, all of the generic stuff is going to charity! @preuss I get that instinct too. People think I'm weird when I split out seemingly identical bricks. I know Megablock grey from LEGO grey. I was given a bag of LEGO and miscellaneous other toy parts and split them out in front of the donator. Why is there so much opposition to Mega Bloks (and co.)? Competition is good because it forces LEGO to continually innovate its own products. Furthermore, LEGO and Mega Bloks offer different things to different people. For example, when I was little, I had both, and I loved both for different reasons. I forgave Mega Bloks for not fitting perfectly well together (that has its charms, you know) because of other factors. I liked that the arms were ball joints -- you could do cool poses. I liked that they were skin tone. With that said, I like that LEGO minifigures are yellow (that has its charms). I like the product quality better. 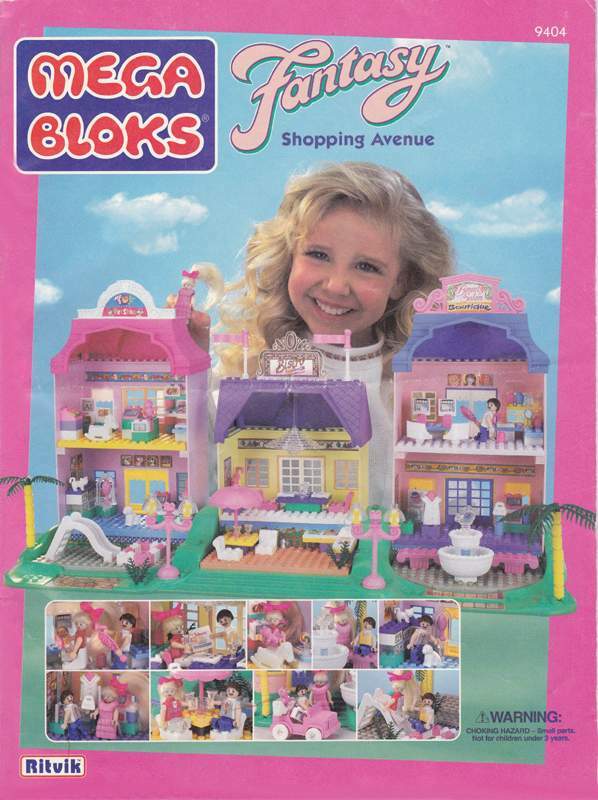 Mega Bloks, at least when I was in my prime, seemed to make up for its lack of quality in its creative sets. I was obsessed with this set: http://www.nooave.com/wp-content/uploads/2013/01/IMG_1848-540x405.jpg. I loved the metallic bikes. I loved the scooters and roller blades. LEGO is only just now making roller blades! A lot of people in a different thread complained about LEGO's packaging no longer having the clear window. Well, back when I saved up and bought this yet, as you can see, it still had a flap to show the clear packaging and all the figures and their accessories. 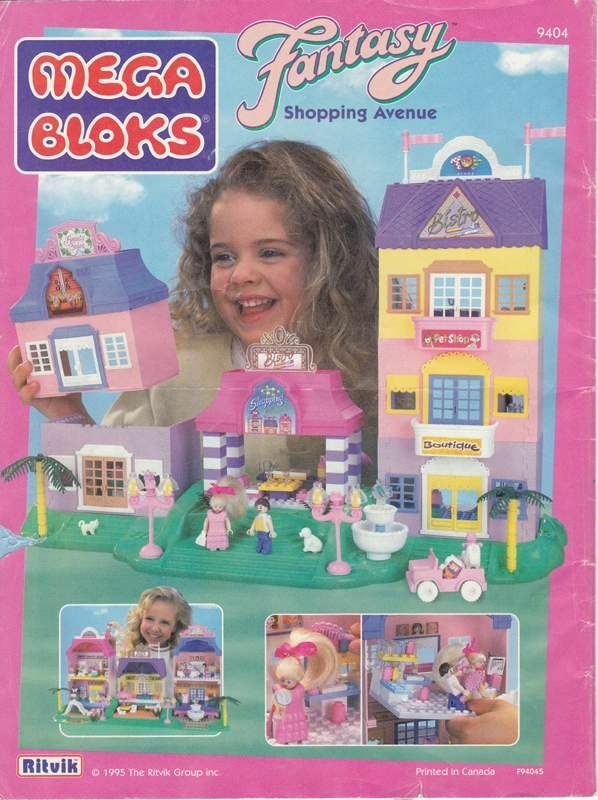 When I was even younger, this was my favorite thing in the world: http://bricker.ru/images/osets/MEGABLOKS_9404.jpg. I loved that the girl had real hair. I loved the dresses she could put on. I'm still not satisfied with LEGO's approach to female minifigures' apparel--women are immobile in skirts! Barbie is shamed for not being able to stand with her feet in high heel form; well LEGO should be shamed for rendering females immobile, too! Women minifigures in dresses/skirts cannot sit in automobiles, either. My zombie bride from the Monster Fighters series cannot even fit in her tomb! Anyway, I loved the water fountain. I loved the female's handbag. I loved the chandelier. I loved the pink car. I loved the pets. 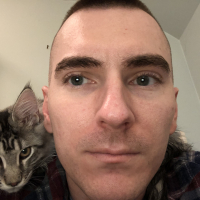 I was obsessed with cats growing up. Maybe I'm wrong, but I cannot recall any LEGO sets from my young childhood that had cats. When was the first LEGO cat introduced? I loved that the buildings weren't brick-built. This led to more creativity in ways: http://i935.photobucket.com/albums/ad196/bloksforum/Instructions/9404/9404-16.jpg. It was easier, as a little, little, girl, to create skyscrapers with these pieces and to recreate the original mall. I loved mixing up the colors of the buildings. I loved that the floors slid out easily to play on and to build on. Etc. Show me a LEGO shopping mall. This Mega Bloks mall was where my LEGO minifigures shopped and went on dates. I just don't see why there's so much hatred toward Mega Bloks. Lego vs MB is about like Coca Cola vs Pepsi. There are always going to be people who will choose a product and be loyal to it, and we are on a Lego oriented site. @jigglypuff The first Lego cat was produced in 1994. My 4 year old has learned that quality is important. He recognizes the Lego logo and hasn't asked for anything other than that. However he does ask that we attempt to recreate something here and there that catches his interest. I return gifts for Christmas and Birthdays that are not Lego. Once my 4 year old told his grandmother she bought him fake Lego... We discussed etiquette that day. I want to mention that I refuse to donate competitor products. I simply throw away Megabloks and all non Lego bricks. Call me evil if ya may. There are some GREAT Transformer MOCs out there, which put Kre-O to shame. There are some great Star Wars, Super Heroes, < insert any theme >,... MOCs that put lego to shame too. Many MOCs are better than the retailer's own model simply because a MOCer can afford to get the detail right, and not have to reach a price point. I had one mega blocks set when I was younger. It was a moon base and I wanted it for the clear domes and glow in the dark pieces. I do recall being upset because the bricks were not Lego compatible. Those bricks were then always kept separate. They were still played with, however not that much because they did not lock together well and structures were unstable. A couple years ago my mom found them and returned them to me. I took them straight to Good Will. I have resisted getting them for my son but I wonder if I am doing him a disservice by sheltering him from the poor quality. That set I had was one of my first memories that some products just lack the quality of others. It is probably better to learn about quality and value earlier rather than later. Granted the kids should be at an age where they will remember the lesson. I am guilty of buying Kre-o Transformer sets in the sales. Being a TF fan I wanted the minifigures but now they have made bagged individual figures I can just buy those. Especially as they "transform" to their alternate modes with a few generic bits and specially designed parts. Never bothered with any of the other building block out there though. Thanks! That's actually around the same time that the Mega Bloks Fantasy Shopping Avenue came out. I wonder what would have happened had I noticed the LEGO set with a cat first! I would have gone nuts for the Hello Kitty sets back in the day. I wish they had been around when I was little. I think that Mega Bloks keeps taking advantage of having no competition when it comes to sets featuring malls or the like. The Friends line doesn't even have a mall, does it? Hopefully LEGO will come around.